Looking for a room with a view or rather an apartment with a knock-your-socks-off panorama? 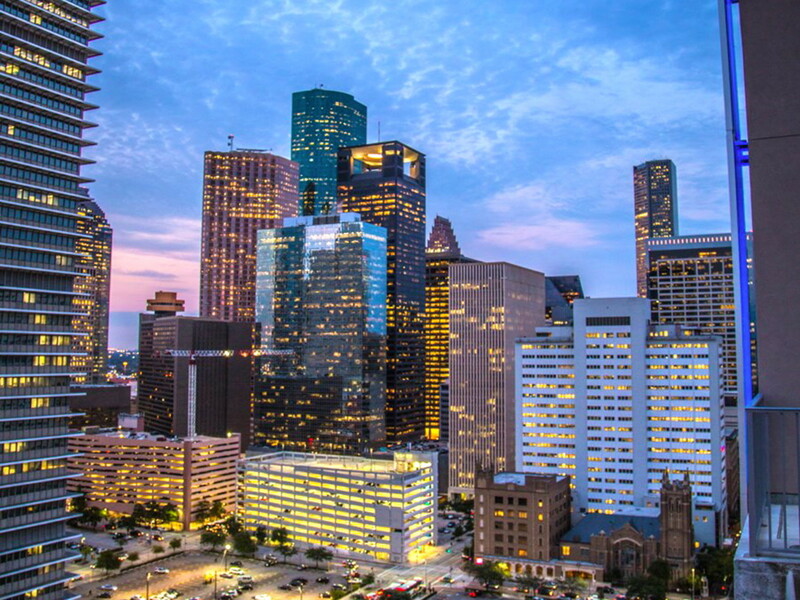 It's a dream that becomes more and more accessible in Houston as the number of high-rise apartment buildings continues to soar. RentCafe.com, a nationwide apartment search website, has checked out a few of our towering apartment buildings and provided views from the upper floors. Let's take a look. At 230 West Alabama, renters have 11 floors and several floor plans from which to choose. The industrial, high-tech architecture sets this one apart from the pack. The central location within walking distance of Montrose and Metro are additional plusses. The location provides a different view of the downtown skyline. One bedroom/one bath units start at 670 square feet with rents starting at $1,170. The bonus here is that Central Market, Tiny Boxwoods and even Costco are within walking distance. One bedroom/one bath units with 878 square feet start at $2,444 a month. Floor plans and size go all the way up to the three bedroom, three and a half bath units with 2,694 square feet, priced from $7,669. 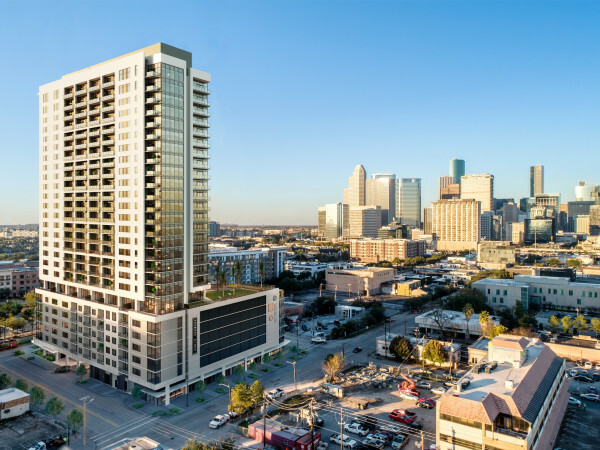 The 33-story Camden Post Oak offers its own breathtaking views of the Uptown neighborhood where high-rise office buildings and residential towers are quickly transforming the landscape into something of a Park Avenue. 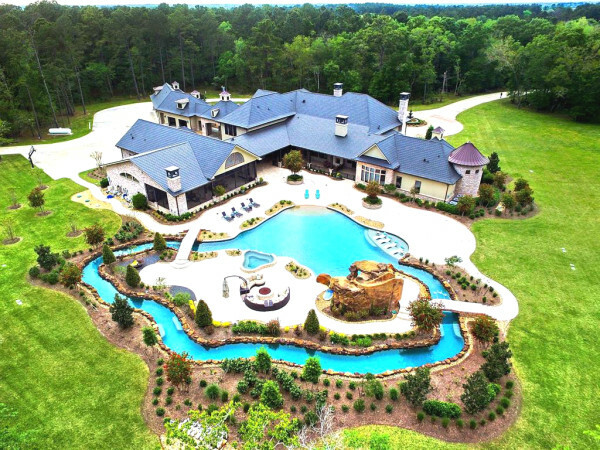 Great location for its easy walking distance to all the entertainments of Uptown Park. And McDonald's is right across the street for those with sausage biscuit addictions. One bedroom/one bath units at 839 square feet are priced from $1,779 to $2,199. Dominion Post Oak soars 31 stories high, offering views of the Galleria, just one block to the south, and the Post Oak Boulevard area, one block east. Everything worth having is within walking distance of this contemporary high rise. One bedroom/one bath apartments with 745 square feet are priced from $1,830 - $2,290. While The Parklane is a luxury high-rise condominium, there are residences for rent. 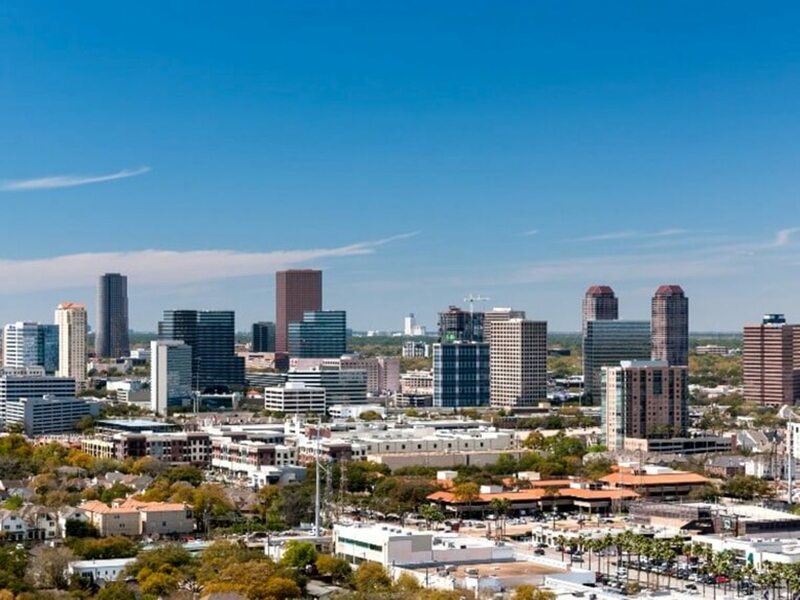 Views of downtown to the north, the Texas Medical Center to the south and the beauty of Hermann Park at your feet make this a particularly interesting 35-story aerie. It's perched overlooking the 16th hole of the Hermann Park Golf Course and is within walking distance of Metro. The Finger Co.'s One Park Place , at 37 stories, sits at the epicenter of downtown Houston life. 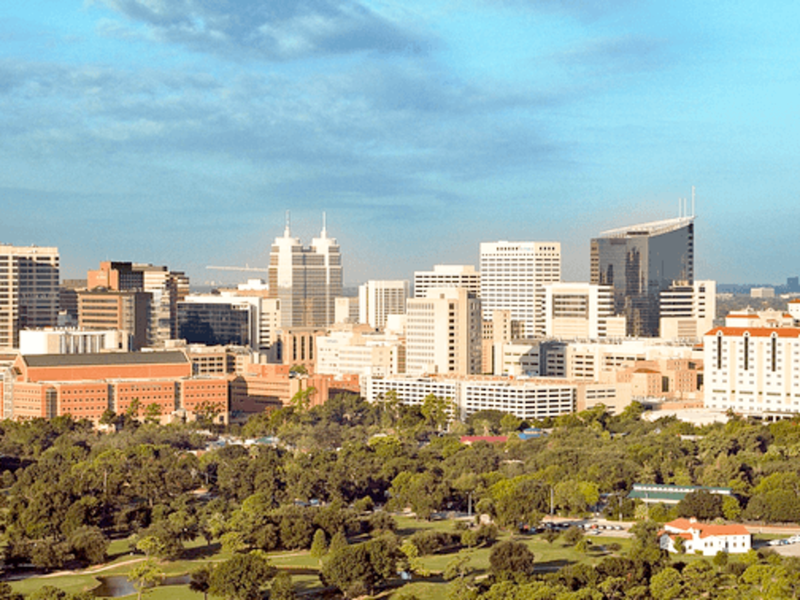 It overlooks Discovery Green and is only a block or two from both Minute Maid Park and Toyota Center. The METRO light rail is within spitting distance and yummy Phoenicia is downstairs. 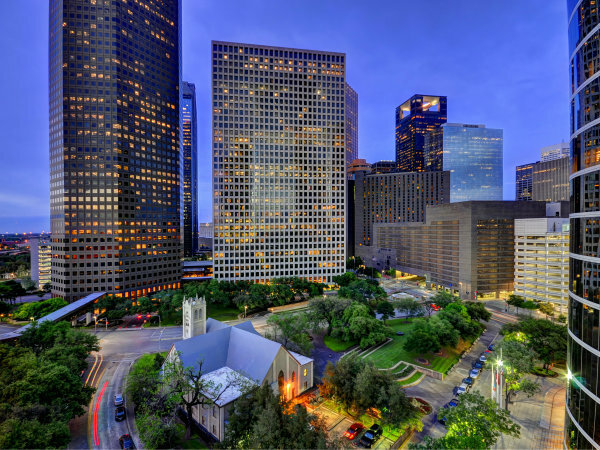 The views of downtown Houston, particularly at night are nothing less than spectacular. On the edge of the Texas Medical Center and the Museum District, Mosaic is another luxury high-rise that offers chic urban living. Hermann Park is the property's backyard. Two near-matching towers rise 28 and 29 floors to penthouses with grand views of the city skyline. One bedroom/one bath apartments, 672 square feet, range between $1,335 and $1,795 per month. We particularly like the 18-story Museum Tower on Montrose for its industrial chic, loft-like feel. It's modern luxury living with spectacular views of downtown Houston or the Museum District depending on your location. We've enjoyed many a dinner party in this very swank building. Rents are not posted on the site but floor plans range from a 1,330 square foot, one bedroom/one bath to a three bedroom/three bath penthouse with study. No question, views from the 24-story SkyHouse Houston are an urban dweller's dream with downtown right outside your windows. The perch at 1625 Main St. is ideal for the downtown worker. A 621-square-foot apartment, one bedroom/one bath, is priced from $1,705.